Governments Adopt Blockchain, Is Crypto Currency Next? For most people in the private and public sector, the evolution of blockchain implied Bitcoin and vice versa. Blockchain technology is growing at an extremely rapid pace, awareness seems to keep an impressive pace. While many governments continue to drag their feet when it comes to regulations for crypto currencies, blockchain is being given prime importance. Governments across the world are looking for ways to harness the benefits of blockchain. This technology delivers decentralization, information is stored on multiple nodes that are physically separated. Once information is stored into a data block, modification or deletion is not possible. This means that, the data entered into a blockchain forms a ‘ledger’, an audit trail is available for all recorded information. One of the most popular applications being studied or tried, by many governments relates to public utility and health services. Health records of citizens can be uploaded or viewed from any point on the globe. We must add here that, the configuration of such blockchains, should incorporate significant security parameters. This to ensure that, stored information can be accessed, only by participants who have been assigned the required permissions. The advantages of blockchains are what attracts governments to them. This technology makes it possible to improve both transparency and efficiency. With the decentralization of information, data inputs can happen just once and duplication of effort is eliminated. This leads to a reduction in errors and improve accuracy. Governments across the world are trying to stay lean and reduce, the consumption of funds for administration. Blockchain has the potential to make this happen. News about governmental use of blockchain, is coming in rapidly. Estonia has already incorporated blockchain in its tax and business registration systems. Moscow has already initiated test runs, for blockchain to be used in the voting for referendum. The British government has run a pilot test, the objective is to use blockchain to reduce frauds and errors in welfare payments. We should be hearing a lot more about blockchain applications in the government sector. Many nations are running more than one trial project, to explore the possibility of incorporating blockchain to improve efficiency. There might be a shortage of blockchain technology experts at this point of time but, the situation is expected improve in the near future. We began this report by saying that, the separation of crypto currencies and blockchain has resulted in a much faster adoption of blockchain technology by government agencies. Many experts are of the opinion, that the growing appreciation and understanding of blockchain, will ultimately result in governments softening their stand on crypto currencies. This is not entirely surprising because, virtual currencies do have some advantages over conventional money. Given the growing acceptance and adoption of blockchain technology by governments across the globe, it might not be long before we see blockchain applications that involve the participation of governments in more than one nation. Health and disease related information comes to mind. We have seen numerous instances where, widespread occurrence of a diseases in a specific nation causes infections in other nations. Sharing of information through blockchains can better prepare health ministries to handle such situations. Occurrence of a disease and useful information related to its prevention and treatment can also be shared. 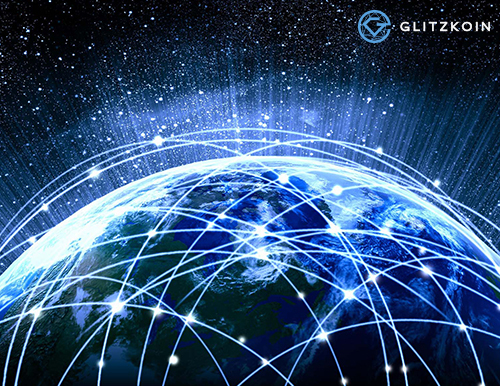 As we at GLITZKOIN move ahead to deploy one of the most comprehensive diamond blockchain platforms to facilitate the trade of diamonds, we are proud to see the earnest efforts of various governments to harness the benefits of blockchain technology for the benefit of their citizens.